With all of the instant information that we have at our fingertips today, it’s hard to imagine life when you couldn’t get news, especially in the aftermath of a natural disaster. But in Hell With the Lid Blown Off that’s exactly what happens when a big twister touches down in Boynton, Oklahoma, in the summer of 1916, leaving those who live in the rural town wondering whether their loved ones are dead or alive. One of the unlucky is Jubal Beldon, a cruel man who was known for using the townspeople’s secrets against them. When it is discovered that it wasn’t the tornado that killed him, a number of people look like good suspects. 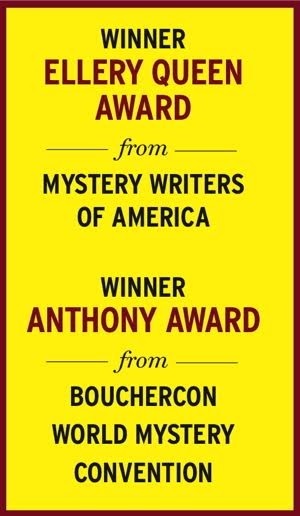 As Sheriff Scott Tucker and his deputy Trenton Calder try to unravel the mystery, they discover that Jubal, in some ways, caused as much damage as the storm. While the murder investigation plays a role in the story, I was personally more interested in following the travails of the large Tucker clan, headed by patriarch Alafair Tucker, as they tried to regroup after the storm. In this day and age, it’s almost impossible to imagine not being able to find out if your children survived a devastating storm when they live only miles away; yet this is the load that Alafair bears. 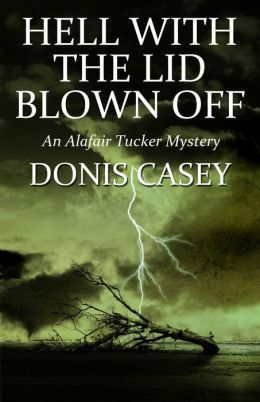 Donis Casey does an admirable job of keeping all of the characters’ story lines moving forward, which, considering that there are ten Tucker children, numerous grandchildren, aunts, uncles, nieces, and nephews, is quite an undertaking. Even more impressive is the fact that she is able to define each character well enough that the reader cares deeply about their survival. While the Tuckers are stoic as they face the rigors of living in rural Oklahoma, the warmth that they share as a family is reflected on every page, making this book a pleasure to read. Even when times are tough, the depths of the family’s bond gives hope to the reader that they, and the rest of this hardscrabble frontier town, will come out stronger on the other side of the storm.